This patient, in her 70's, underwent Upper Eyelid Surgery (Blepharoplasty) in Baltimore to open up the eyes. Dr. Ricardo Rodriguez performed Upper Eyelid Surgery on this patient in her 70's at GBMC hospital in Baltimore, Maryland. 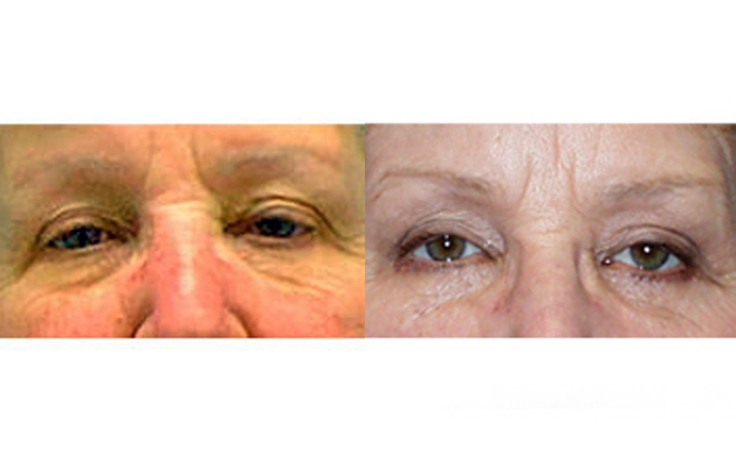 Prior to the surgery, the patient had significant drooping of the eyelids, which gave her a tired appearance. The eyelift opened the area, giving her a more youthful look.